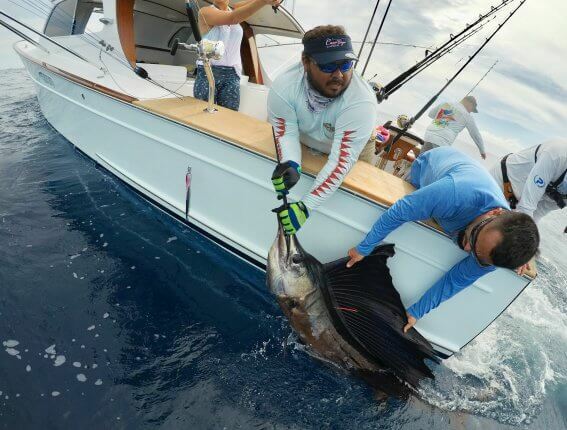 It was during the slow, hot days of a south Florida summer that The Billfish Foundation and Waterlust hatched a plan to boost each of their marine conservation efforts. 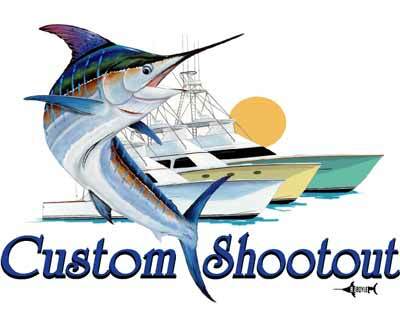 The two groups have worked together in the past, creating a short film called “Moneyfi$h” that demonstrated the billfish conservation work to which TBF is dedicated. This time, the project focused on media: Waterlust has a new product design in the making, and needed high quality images of the various colors and patterns exhibited by sailfish, while TBF needed photo and video content of all kinds to help spread their message more widely. The next step was finding a location with endless opportunity for sailfish bites. 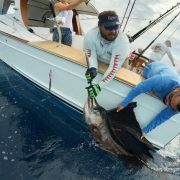 That’s when TBF’s Peter Chaibongsai declared, “Hands down, Casa Vieja Lodge in Guatemala.” TBF contacted long-time supporter Casa Vieja Lodge (CVL), who graciously offered to host the group of marine conservationists for a fishing trip on the aptly named vessel Release. 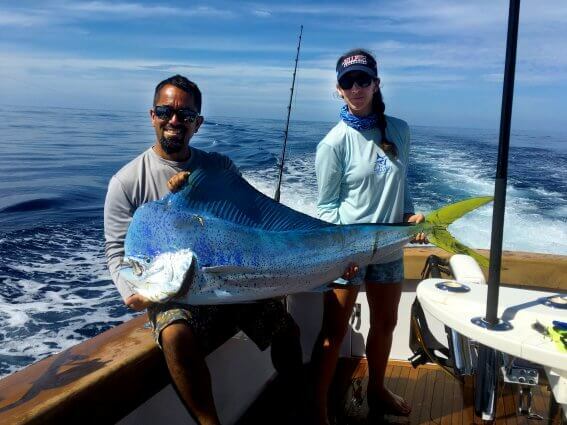 TBF’s Science & Policy Associate, Adrienne Katz, Waterlust’s Jennah Caster and Laura Graham, and Robert “Fly” Navarro–there to provide his fishing expertise and add to the conversation–made up the project’s team. They arrived in Guatemala on Sunday, October 22, and after a scenic drive to the lodge, were greeted by Lodge Manager Elisa Sheeder and her staff, armed with local hibiscus cocktails. 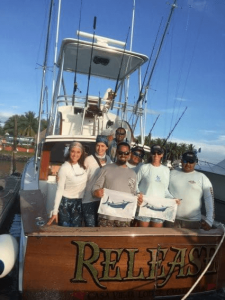 Soon after preparations began for the next day of fishing with Release’s Captain Chico and his mates, Arturo and Alex. Over the following three days the group tagged 23 sailfish and a single blue marlin, released an additional eight sailfish and one blue marlin without tags, and kept a few mahi mahi for lunch. Each day ended with reviewing the captured media footage and filling out the constant tag cards. “Sitting by the pool, filling out tag cards, going over the excitement of the day while snacking on fresh-caught yellowtail sashimi, I had to remind myself this was in fact, a work trip,” said Katz. Aside from the service, food, drinks, and of course the fishing, a notable nicety of Casa Vieja Lodge is the intimate atmosphere that makes it easy to get to know the other groups staying at the property. 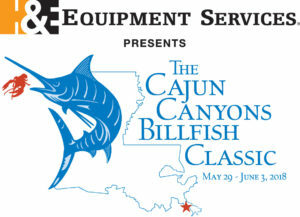 Katz and Fly were able to talk billfish conservation with other guests, also anglers, many of whom were interested in TBF’s tagging program. 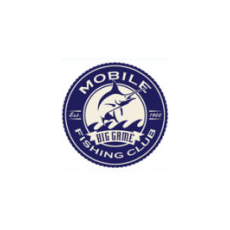 And because all of the CVL captains tag and report their releases, it was exciting for them to hear pieces of the fish puzzle come together with the broad knowledge of taggings Katz shared. TBF thanks Casa Vieja Lodge for hosting this project team, as well as Waterlust and Fly for their commitment to our work. We are looking forward to sharing new videos and images from this trip, and can’t wait to make it back down to Guatemala!